Fried chicken, Versace robes and spilled champagne, the Tanboys dabble in decadence. 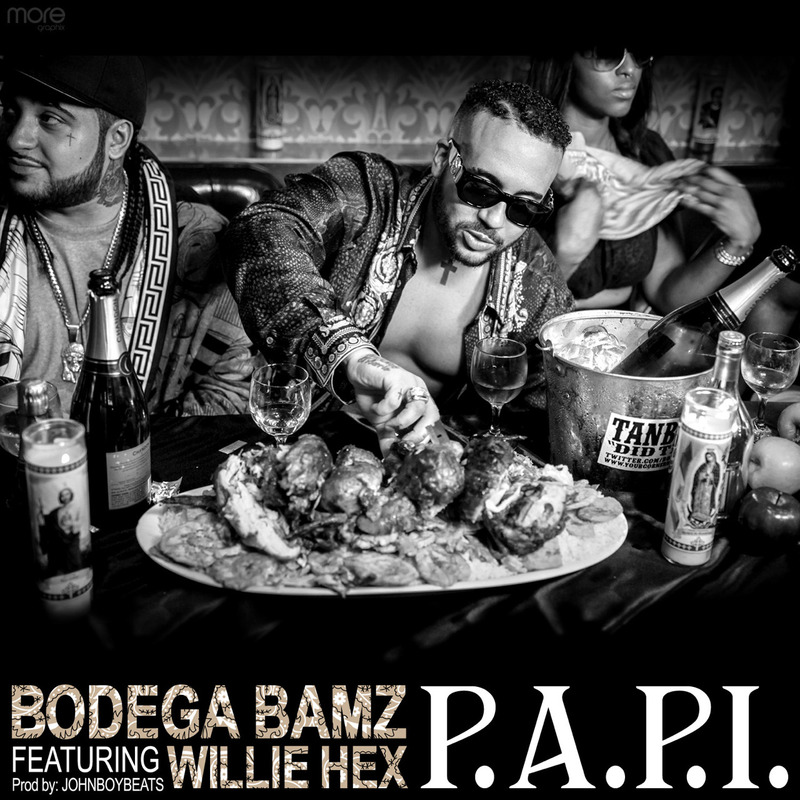 Bodega Bamz and Willie Hex trade verses about the high life over 808s and a haunting melody. The relatively unknown Hex flows particularly well, name dropping Cam’ron, Attila the Hun, Reggie Miller and… Boy George. He also looks like a skinny Big Pun, which is probably important to those who reside in The Bronx. As you can tell from the “P.A.P.I” video, which features cameos from Yamboghini and A$AP Ferg, the crew are buddies with fellow Harlemites A$AP. They also share stylistic similarities, the most obvious being their quasi-cinematic videos. Both groups favor lavish imagery, in this case A$AP’s trademark gold grills and the Tanboys affinity for holding razor blades in their mouths. They also use creative flair instead of shooting homemade videos next to a borrowed car with borrowed broads. “P.A.P.I” is inspired by Leonardo da Vinci’s painting of Jesus and his disciples “The Last Supper.” However, I am still confused about the significance of the guy ripping his singlet at the end of the video like a 90s Usher. Rap game Latino Backstreet Boyz? I’ve been checking for these guys since Bamz killed this track in May and while I’m not fully sold on Tanboys, along with “My Name Is,” he’s putting out some good stuff. One thing to consider though: would these songs still be getting as much play if not for their unique videos? Will you still be checking for A$AP and Tanboys once the hype dies down and you realize how hard it is to eat or brush your teeth with a grill on? Time and your dental plan will tell.